"I HIGHLY recommend you shop here! I get no kickback on this folks. These guys prices slay the competition. And you get great service as well." "At last, a radio show that doesn't bore you! "Great program, better than any radio station by far..."
Over 40,000 hits to date! Persons thus far experiencing fusion-based, neuronal rewiring by this show! Jack in! or your preferred audio-streaming program. mobile QR codes to access different streaming sites. QR CODES IN MARKETING EXAMPLE SOON! Glad you could stop by and TUNE IN . . . send us your comments!" ADD YOUR CONTACT E-MAIL FOR REPLY!! new state internet taxes on their business. 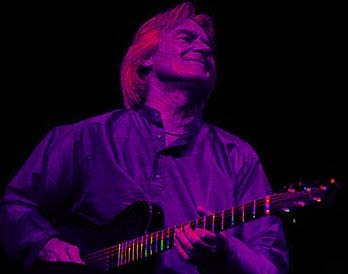 Enjoy some recent releases of great fusion and prog-fusion rock. I hope you enjoy this sweet mix of 25 tracks of superb music! The show runs ~ 2.5 hours. you see more than 25 songs, you will know the show was updated. enabling shows like this to be possible. You able to figure out band name or song? Yes? That's cool. internet now and ending the "good olde days" of free net radio. It's all about money and not the art and joy of music to them. is no database of info on file. In spite of all that negative blurb, I know you'll dig the tunes. Enjoy the MYSTERY FUSION SHOW! "I've been a fan of your efforts and service for over two years now. aren't recycled licks from songs that were popular thirty or more years ago. musicians' efforts. ...helps to keep me sane during my workday." more jazz fusion artists. THIS IS IT! thanks again for an awsome show!" anywhere...Thanks, and thanks again for the add." and my ears were new again! Thanks"
Jazz-Rock with a vengeance, makes this a real honor for me. Dude! milestone. peace . . ."
and the like BORE THEM -- so there's my dilemma. too and I luv the music -- so I help guys like me "Make It". neuronal rewiring by this show! Jack in! future web radio shows for awhile. My shows will sometimes be a mystery jam of oodles of aural goodies. let SoundExchange harass us for royalties. message me for more info . . .
You listen to the show. You hear a cut you dig. track(s) number and/or ID KEY. I then may send you info you request and where to BUY the music. Then it's up to you to BUY the CD . . . This way, I also get specific feedback on what my radio shows are really doing for artist promo. Appreciate this website and its services? website's thousands of pages! Thanks! community, (you're the 'real deal') we're very proud to be a part of that." struggling for air in a wild soup of over three decades of of music evolution? vitality inherent in its FUSION is still more than vibrant. an over-the-top, line-up of stellar guests at this fusion reunion get together. McLaughlin's early solo era works, and even note some Weather Report nods. Wow! This is way, way cool fun! ARE LISTED IN THE SHOW's PLAYLIST BELOW. OCTOBER 1st 2014 is our 16-year anniversary online! ENJOY THE BIG SHOW NOW PLAYING! CLICK ON LOGO BELOW FOR NEWEST SHOW. CDBaby.com, where I sell my own music! and then scroll down page for more info. Use this cool tool below to find CDs too! TO SHUFFLE AND LET YOUR PC PICK THE PLAYLIST FOR YOU! ENJOY! celebrate over 12 years online serving artists & fans! http://EER-MUSIC.com ONLINE FOR TWELVE YEARS = October 1st, 2010. "Hey John - much appreciation - I've already been listening to the show. about it -- he's thrilled to be included in such an outstanding roster. Keep up the great work, and we wish you a happy and prosperous 2007!" 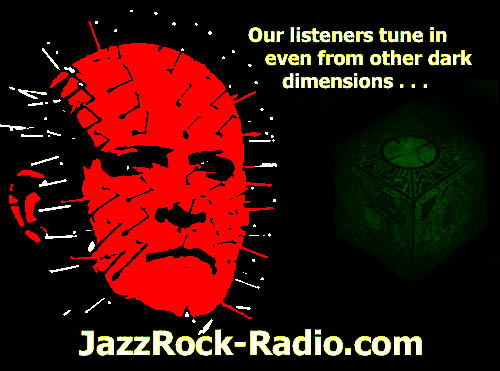 JazzRock-Radio.com ~ it doesn't get ANY better than this! page, one turned into a sale! Awesome. Thanks again for all your support." obvious reasons. Don't you dare stop, mister." to hear the rest of the show. Keep up the good work"
"I just discovered the weer jazz rock radio and wow! . . .
donation when I get my head around how that works..."
"WOW!! I checked out the site and it is extremely impressive! gonna get me in trouble, ha ha!! Thank you so much for the tip! Lelio Padovani and Fred Van Der Voort/Confusion. at sites like Guitar9, Audiophile Imports, CD Baby, Amazon and Abstract Logix." it's cool to be redundant by saying, again, excellent job !!" real music lives!!! !keep it goin'!!" work is appreciated and will help spread the word about quality music." "I have been listening for sometime and I really enjoy your shows. Thanks for sharing the immense variety of artists and their recording. heard of him. ... Thanks Again for JAZZROCK-Radio.com!!!" 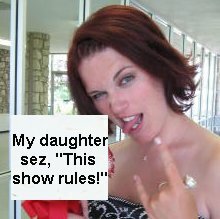 "I can't stress enough how much I enjoy the current show." to Brand X is being repaid with Ozrics now." "Thanks a lot for a well chosen playlist!" "No elevator music here! ... the stuff you do is very appreciated." give a huge thumbs-up to WEER..."
1972.Thanks-LET NOTHING STOP YOU MY FRIEND!!!!!!!" have been turned on to many great prog and fusion songs and bands. Most recently The Fourth Estate. ABSOLUTELY KILLER MUSIC!!!!" so much for doing this!" give me a kick by posting on fushionprogtrader." Argentina and there is't a radio or a site to this type of music. thank you for the support!!" have learned about a lot of new musicians." "John - this is awesome!!!!!! Thanks much for doing this!!" 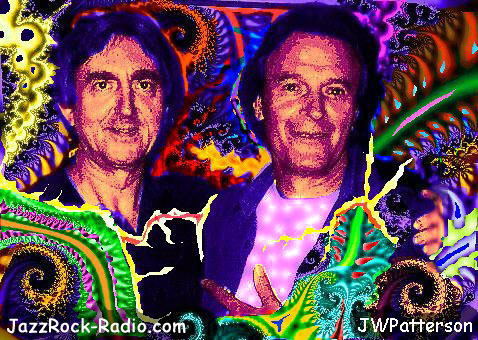 "WEER JAZZ ROCK FUSION RADIO thanks you!" 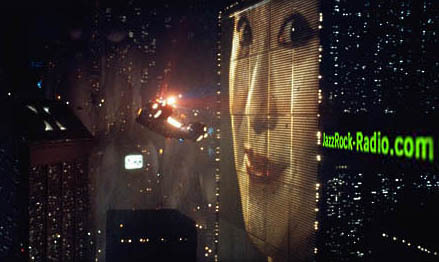 JazzRock-Radio.com HONORS 10th year online for EER-MUSIC.com!! The show is in 64 kbps for optimum download time server space useage, bandwidth tolerance and all that jive. SYNTHS, PROG, FUSION and more! ENJOY THE EAR CANDY! Bliss out! If you have any media player on your PC that handles the "m3u" format also know as "streaming mp3 playist file" then Windows Media Player or MusicMatch -- (which are both free download applications) -- will easily stream this show after you point-click on the LISTEN links scattered everywhere on this page! Be sure your media player is configured under formats or file types to handle m3u files. Good luck!! "TALK BACK TO EER-MUSIC.com EDITOR RIGHT HERE! DIG THESE JAMS? A COMMENT? LET US KNOW? WHADDAYA WANNA HEAR HERE?" in proud affiliation with . . .
Music supplies vendor extraordinaire . . .
WEER JAZZ ROCK FUSION RADIO SHOW! THIS gig is a 110% PROMO outreach of EER-MUSIC.com with hyperlinks to artists' websites & where to buy their music. To date I have had a huge appreciation expressed by the labels, managers, promo outfits, and fans seeking new musicks. And people are BUYING the music featured here. Und zat -- mein friendz iz zee bottom line! WEER RADIO works! "Right Click" & "Save Target As"
option to download the show file and then click on it to open the show. Or just click on link, whatever works for you . . . Please keep in mind -- THIS IS A HUGE STREAMING SHOW -- so it is possible the stream might be interrupted or stopped. If this happens just click on the next song in playlist on your media player to get things cranking again. So just use the above method and you're good to go. For those of you so inclined feel free to set your player to "Shuffle" and/or "Repeat" and groove on TUNES ALL DAY & NIGHT! Playlist:CLICK ON ARTIST NAME TO BUY CDs or get info! (Shop with hyperlinks below -- and/or use my Abstractlogix.com or Amazon.com links on this page too -- thanks! )Links coming later. ENJOY THE SHOW! WITH ALL YOUR PROG AND FUSION ROCK FRIENDS. Please do contact me direct with your comments. I like feedback! God bless you all! 10-HOUR AMBIENT SYNTH BLISS SHOW? IT IS ARCHIVED FOR LISTENING! JUST CLICK HERE TO ACCESS PAGE & ENJOY! FUSION ROCK REVIEWS HERE! "WHERE THE FLAMES OF FUSION BURN BRIGHT!" In these times of dog-eat-dog, profit-driven, cold-hearted music sales companies -- I have finally found one online vendor: Souvik Dutta of Abstractlogix.com -- who refuses to sell out, who supports the musician and serves the fans. He was key in bringing Shawn Lane to the international forefront, even bringing him to India! And allowing me the chance to see and meet Shawn at his very last concert. EER-MUSIC.com salutes the vision of Souvik Dutta of . 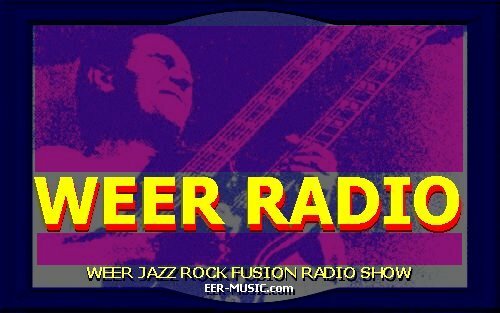 . .
http://EER-MUSIC.com WEER FUSION ROCK RADIO! Smokin'! Scientists have long suspected a neurological connection between making music and intelligence, but it was not until recently that specific data became available directly linking the two. Music listening & playing relates to math skills. By exposing children to complex musical sounds, (LIKE JAZZ FUSION but NOT RAP or POP ROCK!! ), children will develop the same areas of the brain required for math and spatial reasoning. Using mazes, copying patterns, and drawing shapes has been shown to improve with exposure to complex musical sounds. 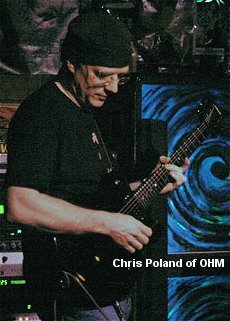 [Personal note: I have listened to and played fusion guitar since 1973, graduated from college in 1977 with honors and now work as a research scientist in a major medical university. I owe much of my hyper-brainy ways to music playing!] Consider the following: Research completed at the University of Munster in Germany discovered enlarged portions of the brain in children who took music lessons. An area used to analyze the pitch of a musical note was found to be 25% larger in those who participate in making music regularly than in those who have never played an instrument. A research team exploring the link between making music and intelligence reported that music training (specifically piano instruction) is far superior to computer instruction in dramatically enhancing children�s abstract reasoning skills�mental tools necessary for learning subjects like math and science, or for playing chess and mastering concepts of engineering. Thirty-four percent of the children performed higher on tests measuring these criteria after only six months of piano lessons. Students with coursework/experience in music performance scored an average of 52 points higher on the verbal portion of the SAT and 36 points higher on the math portion of the SAT than students with no coursework or experience in the arts. A research team studying first-graders from two Rhode Island elementary schools found that students who participated in a regular and structured music learning program exhibited dramatic increases in reading and math. A study in the March 1999 issue of Neurological Research showed that after learning eighth, quarter, half and whole notes, second and third-graders scored 100 percent higher than peers who were taught fractions using traditional methods. Because of this research, we know there is a direct connection between making music and intelligence in children. But how and why does this connection take place? Exploring the Brain The brain�s cortex, the center of our intellectual functions, represents 85 percent of brain mass. The remaining 15 percent of the brain, the limbic system, handles our emotional functions. Researchers at McGill University in Montreal found that music functions as a key link between the cortex and limbic systems, suggesting that it�s virtually impossible to study or play a musical instrument without feeling a wide range of positive emotions such as joy, happiness, love and tenderness. From this research, Author Sharlene Habermeyer, in her book, Good Music, Brighter Children, concluded, �...and when we allow these emotions to be a part of the learning process, our education becomes richer, more meaningful, longer lasting, and has greater impact in our lives.� Another study, performed at the University of Texas, found a direct relationship between the brain�s ability to interpret musical notes and passages and written letters and words. And further research has documented that the sensory input section of a violinist�s brain which registers and controls activity of the left hand was more highly developed than that of the brain area controlling the less active right hand. The research further discovered that the earlier the violinist had begun to play, the greater the sophistication and response characteristics of the left hand cortical area of the brain. Some fine fusion friends of mine: Hear OHM here coming soon! For those of you offended or irked by this page's "eye noise" feel free to surf on. It is that easy. And those of you who are visually teased as I am then enjoy the sights AND sounds. This is the way I do it here and I could give a ratzass what other websites say or think about my page design. 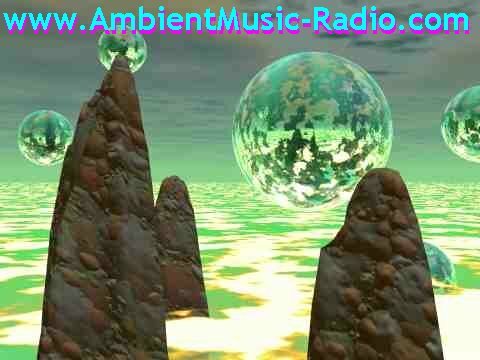 We are about streaming the BEST fusion music not after web design awards. Problems with that? Don't go away mad -- just go away. 'Nuff said. My main website is MUSIC-related so here are some great music-driven keywords I have harvested from membership in certain forums and so forth. Want to lose traffic to your website? Make less money online?